A short study of the Morning Star of the Reformation, John Wycliffe, and the Lollards. My thanks to Book Aid for providing a copy of this public domain title for digitisation. 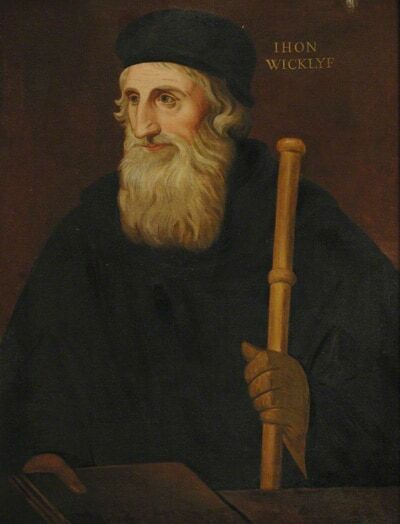 John de Wycliffe often and aptly called ‘The Morning Star of the Reformation,’ was born, in 1324, in the parish and village of Wycliffe, near the junction of the Greta and the Tees, and a few miles north of Richmond in Yorkshire. 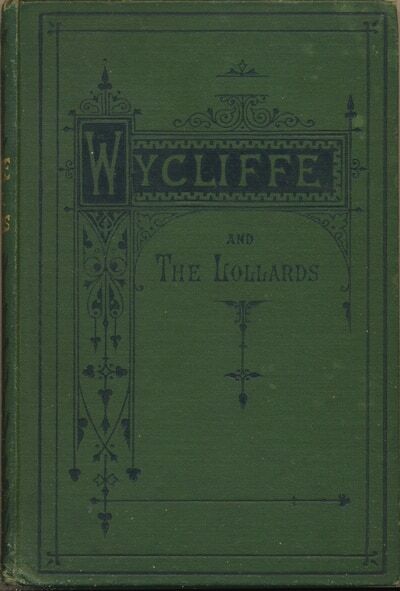 His family are supposed to have been lords of the manor and patrons of the rectory of Wycliffe from the era of the Norman Conquest; and the property continued in their possession till 1606, when it passed by marriage into the family of the Tonstals. Nothing is known of Wycliffe in his boyhood. He would get, we may be sure, the best education within reach–not improbably in the school of the Abbey of Egglestone, which was but a short distance from his home. 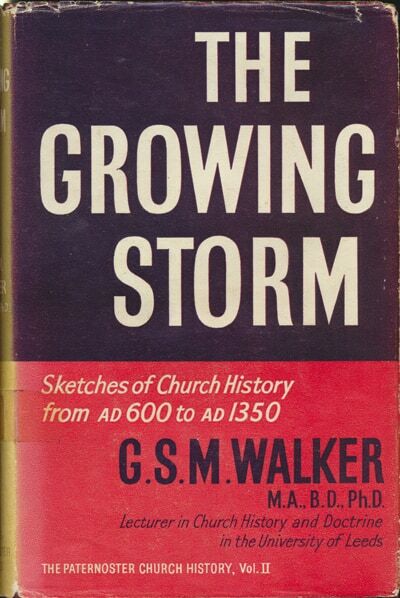 That school was then in the height of its prosperity, and was just such an institution as young men intended for the Church were likely to be put to. 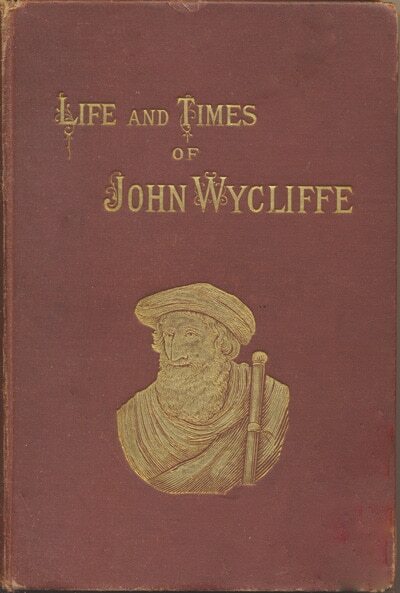 This is a short anonymous biography of John Wycliffe which has five nice pen and ink illustrations. My thanks to Book Aid for making this public domain title available for digitisation. Year by year it is better understood that John of Wycliffe was not only one of the greatest men in English history, but the true precursor of the English Reformation. The truths to which he was the intrepid witness never wholly passed from the minds of our countrymen; and amid the bitter persecutions which seemed to crush Lollardry out of existence there remained an amount of secret but imperishable conviction which prepared the way for the great events of the sixteenth century. This is a collection of sketches from Medieval Church history and includes studies on Gottschalk, John Scotus, Peter Abelard, Thomas Aquinas and John Wycliffe. My thanks to Book Aid for making a copy of this book available for digitisation. Anselm, bishop of Canterbury from 1093 to 1109, is probably best remembered for his work Cur Deus Homo? – Why Did God Become Man? In it he attempted to explain the atonement in terms of the medieval feudal system. Adam Welch makes clear his significance in church history, noting that he is even credited as the father of Scholaticism by some scholars. This title is in the public domain. 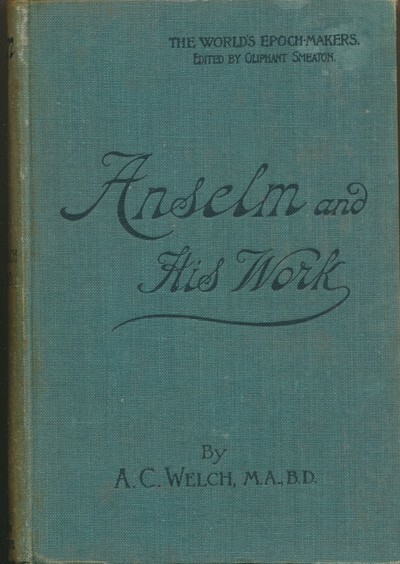 Europe in the early half of that eleventh century into which Anselm was born was renewing itself under the influence of a quickened religious spirit. 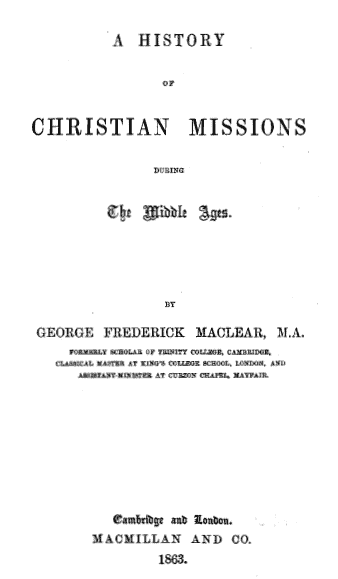 Christianity in the Western world had two great outward struggles with paganism, the first with a paganism which was already in possession and was rich in the accumulated treasures of an older civilisation, the second with a paganism which sought to repossess itself of Europe and to overwhelm in barbarism the new order almost before it had struck root. The early incursions which broke down the Roman Empire had hardly been survived, and their influence had not been assimilated, before an equally heavy storm burst upon the West. The Avars from Asia, ever fertile of men, thrust themselves into the centre of Europe, and wasting everything on their way penetrated through Austria…. This book on monastic finances won the Prince Consort Prize in 1912 and was published in the hope that it would inspire other students to research in this field. However, the content is such that it would prove of interest to anyone wanting to know more about medieval monasticism. This title entered the public domain on the 1st January this year. 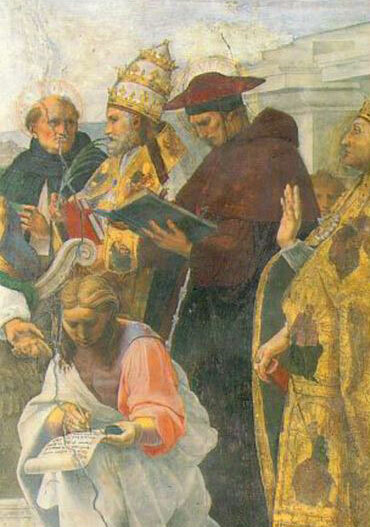 We, the associated faculty of The Scholasticum Institute, in the birthplace of St. Bonaventure (Bagnoregio, Italy), hereby announce the establishment of a new institute of medieval studies dedicated to reviving the study of Scholastic Theology and Philosophy. The institute will have as its goal the formation of a new generation of theologians and philosophers who have been trained and equipped according to the sources and method of study employed by Sts. 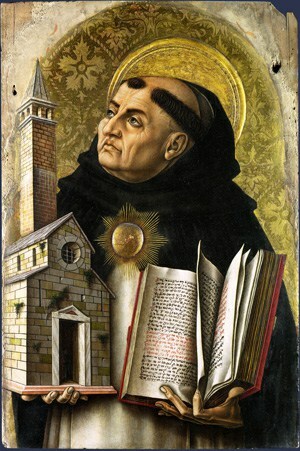 Thomas Aquinas and St. Bonaventure. The institute will offer courses to students physically present at its headquarters in Rome and by video-conferencing to those throughout the world. Applications are now open and can be accessed at our Registrar’s office in Rome, or on our website! We offer a 1- or 2-year course of study with the option of four cycles: Baccalaureus Philosophicus, Baccalaureus Biblicus, Baccalaureus Sententiarius, and Magister Sacrae Doctrinae. Please see our informational flyer and Annuario Academico for more information.